7 Dec 2016 "Our growing fascination with boredom" University Affairs . 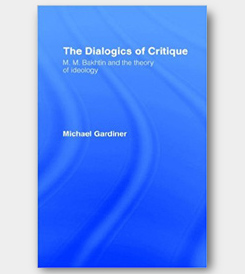 Michael Gardiner is currently interested in theories of affect (especially boredom), the everyday, utopia, and dialogical social theory (the work of Mikhail Bakhtin in particular). 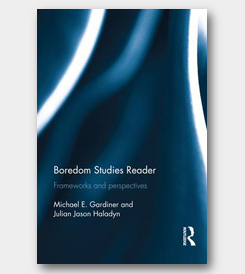 (2017) Boredom Studies Reader: Frameworks and perspectives (ed. with Julian Jason Haladyn), Routledge. 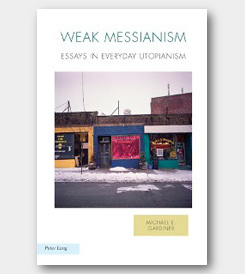 (2013) Weak Messianism: Essays on Utopia and Everyday Life Peter Lang. (2018) "An Autonomist Marcuse?" Rethinking Marxism 30(2):232-25. (2017) "Critique of Accelerationism" Theory, Culture & Society 34(1):29-52. (2016) "Bakhtin in the fullness of time: Bakhtinian theory and the process of social education" (with Craig Brandist, Jayne White, and Carl Mika), Educational Philosophy and Theory 2016:1-5. (2016) "Bakhtin, Boredom, and the 'Democratization of Skepticism' The European Legacy 22(2):163-184. (2016) "Bakhtin and the ‘general intellect’" Educational Philosophy and Theory 2016:1-16. (2014) "The Multitude Strikes Back? Boredom in an Age of Semiocapitalism" New Formations , 82(2):31-48 (special issue on 'Mood Work'). 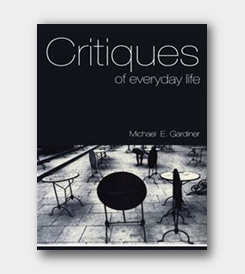 (2012) "Henri Lefebvre and the 'Sociology of Boredom'" Theory, Culture & Society 29(2):37-62. 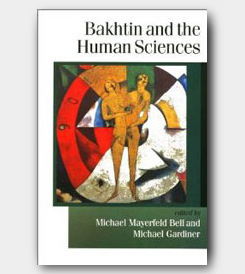 (2012) " Post-Romantic irony in Bakhtin and Lefebvre" History of the Human Sciences 25(3), 51-69. (2014) "Marxisme, modernitet og utopi" in Hverdagslivet Sociologier om det upåagtede , 2nd ed., Michael Hviid Jacobsen, Søren Kristiansen (red. ), Køvenhavn: Hans Reitzels Forlag, 2014. (2012) "The 'Dictatorship of the Eye': Henri Lefebvre on Vision, Space and Modernity" in Barry Sandywell and Ian Heywood (eds.) Handbook of Visual Culture , Oxford: Berg Publishers, 342-360. (2012) "Phenomenology and its Shadow: Visuality in the Late Work of Merleau-Ponty" in Barry Sandywell and Ian Heywood (eds.) Handbook of Visual Culture , Oxford: Berg Publishers, 115-130. 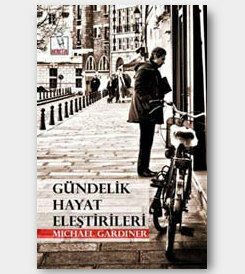 PhD Thesis Supervisory Committee Member for Cenk Saracoglu, Migration, Neoliberalism and Ethnicization: The Middle-Class Construction of Kurdish Migrants in Izmir, Turkey. PhD Examining Board Member for Helga Benediktsson, Cultural Opportunities and Social Movement Symbolic Strategies: The Knights of Labour and the American Federation of Labour as Meaning-Makers, 1880-1900. Rory Davis, A Taste for Distinction: Food Representations in Popular Canadian Magazines. Tony Puddephatt, Materiality, Discourse and Intersubjectivity: New Directions for a Constructivist Sociology of Science. Victor Racz, The Notion of What is 'Objective' in the Works of Adorno. Brendan Watts (jointly supervised with Anabel Quan-Haase), Capitalism Flies Through Space: A Marxist Analysis of Capitalist Ideology Within the Video Game Eve Online .